Next week I’ll travel to Turkey. For the second time this year, I´ll spend a whole week learning how to experience yoga (as my teacher said: “Yoga is nothing you can do. You can only experience yoga”). 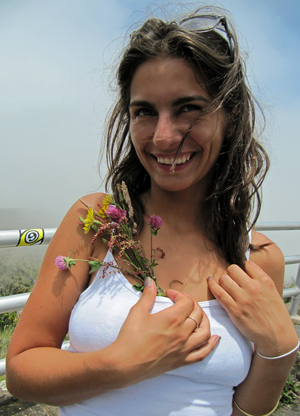 Miriam Ianonne is an extraordinary yoga teacher. Although I take her yoga classes in Berlin every single day, I would not miss an intensive workshop with Miriam for nothing. A lovely accommodation, seaside, extended summer are only side effects of this adventure. 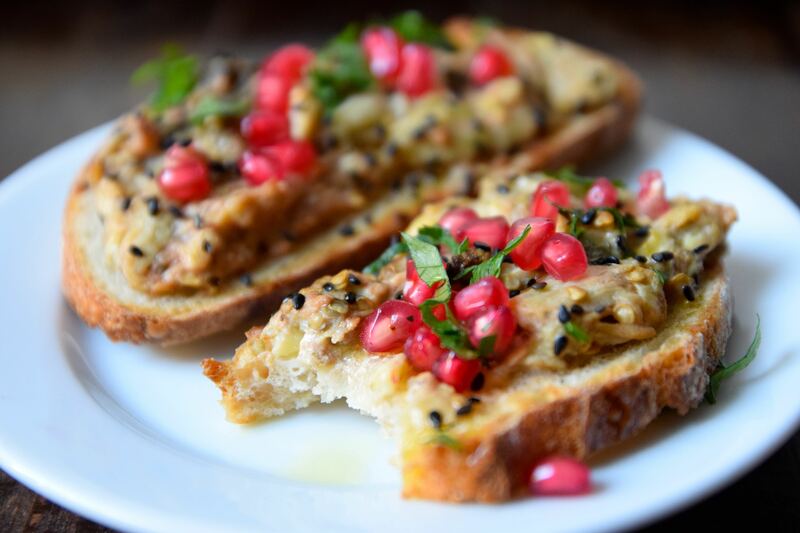 For this recipe I took three ingredients which remind me of Turkey: eggplant, pomegranate and parsley leaves. 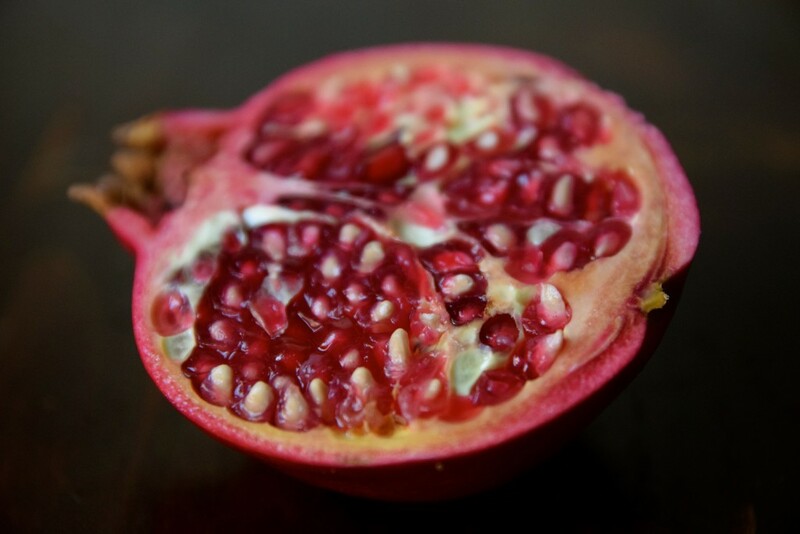 The cuisine from Mideast (and also Turkey) is for sure one with the most of flavors, aromas and colors. It is a crossroad of many influences and a very fertil ground. Irak, Iran, Palestine, Lebanon, Turkey etc. have many similar dishes which differ from each other only in details. And those details are almost a fundament for the identities of those countries (it is still not clear where the hummus is coming from!). Eggplant is probably the widest spread plant in this area. Undoubtedly for a good reason: you can find it in many different forms and colors and it is a plant adaptable for almost every dish. 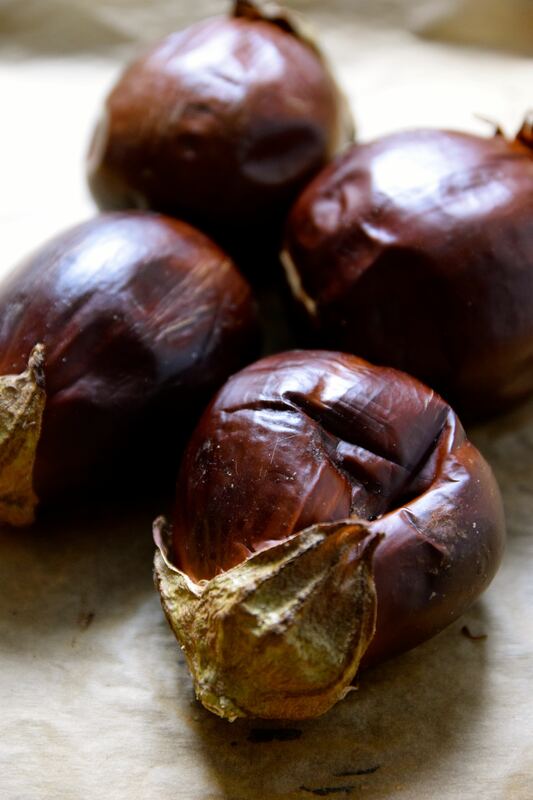 Eggplants are perfect for frying, baking, roasting, for making a purée, sauces and even a soups. This, in a certain way funnily formed plant, came with Arabs to Europe. 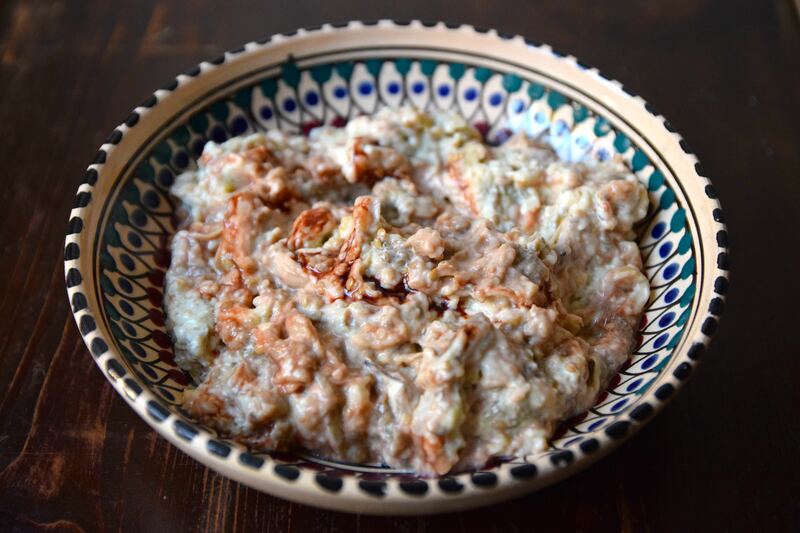 Baba Ghanoush is as polemic dish in israel-arabic cuisine just as a hummus. It is a eggplant purée with garlic, lemon, cumin and with or without tahini. I made it without and instead I used a greek yoghurt (soy yoghurt would also fit). Instead of cumin i took roasted black sesame seeds and as an extra I added a date syrup. The dip I created has a specific taste of smoked eggplant, striking sweetness of date syrup and a gentle sourness of lemon juice. Pomegranate seeds complete this unity with their crispy and juicy consistence and parsley leaves give a finishing note with their freshness. Pour this dip on bread pieces and serve it as a snack or light dinner combined with some green salad. Enjoy! 1. Preheat the oven on 200C. 2. 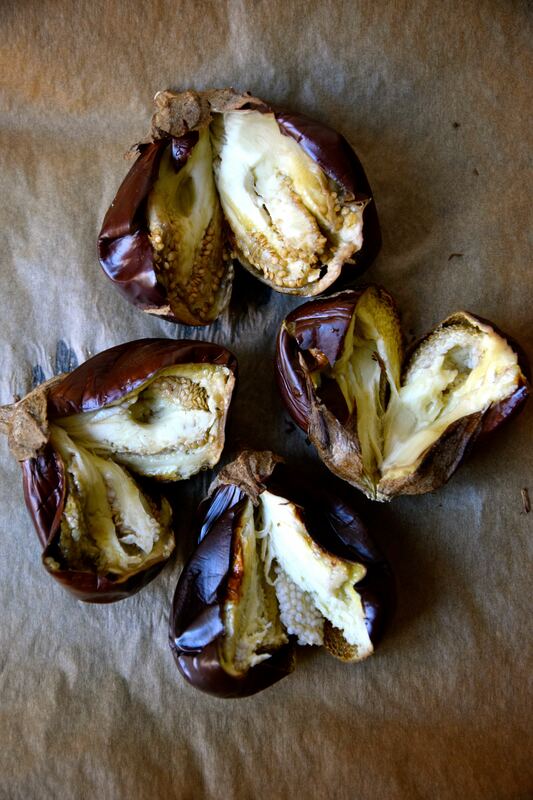 Place eggplants on a baking tray and roast them in the oven until they are very soft (around 30 min.). Remove eggplants from the oven and let cool. Don’t turn the oven off, but reduce the temperature on 180 C.
3. Place black sesame seeds on the baking trail and place in the oven. Roast the seeds for the next 10 min. Remove from the oven and let cool. Don’t turn the oven off! 4. When eggplants are enough cold so you can touch them, cut them into half, spoon their flesh out and place it in a medium bowl. 5. 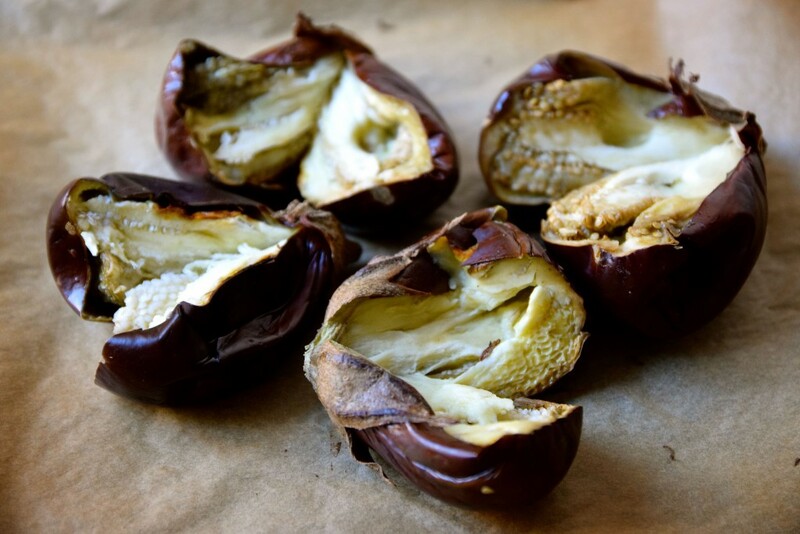 Add yoghurt, date syrup, olive oil, garlic, lemon juice and salt and pepper into the bowl with smoked eggplant flesh. Using a fork make a purée out of the ingredients. Purée should not be very smooth but good incorporate. 6. Spread the eggplant purée over the bread slices and place them on the baking trail covered with baking paper. Roast the bread in the oven for the next 15 min. or until the bread is golden and crispy. Remove from the oven. 7. 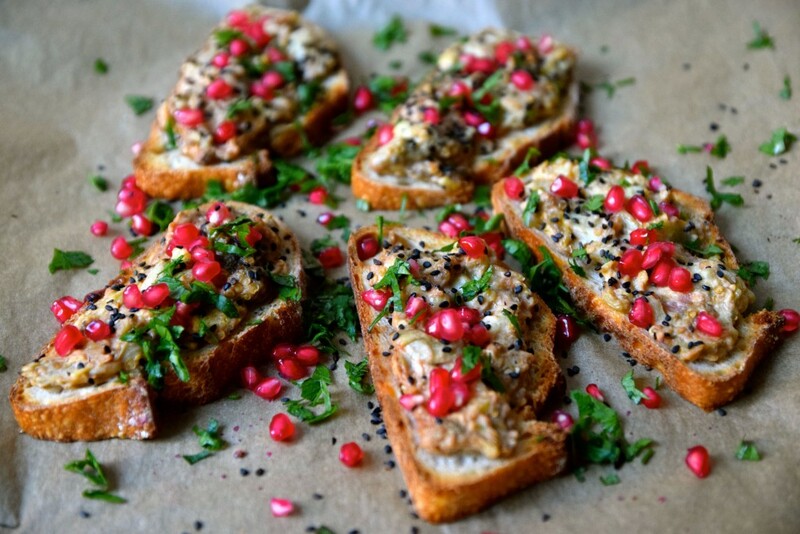 Spread the pomegranate seeds over the bruschetta, sprinkle with black sesame seeds and pour with some olive oil. 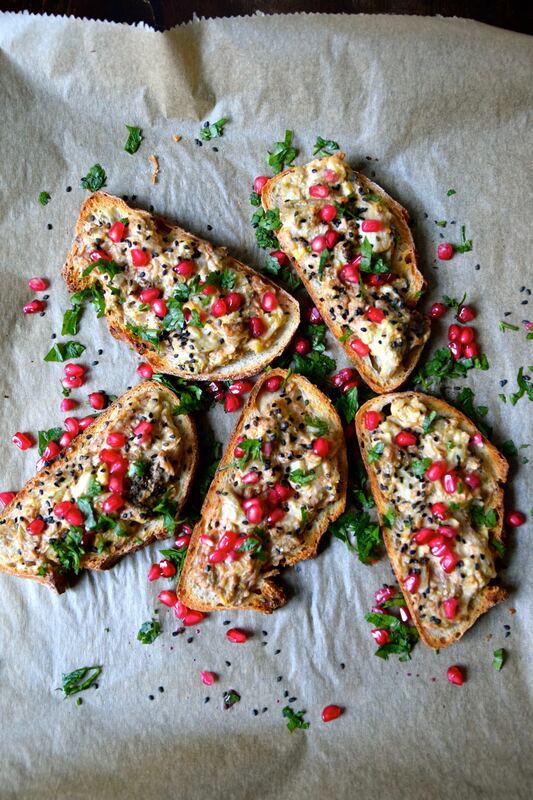 If desired, drizzle some more lemon juice over bruschetta. Serve warm! This entry was posted in Common, Recipes and tagged Snack. Bookmark the permalink. It`s not a Host, but it tastes divine. Multilingual bread.